Previously,I had assumed that the lemony tang in many dishes was due to lemons. On a visit to a Kurdish area in Istanbul, however, I discovered Sumac; mysterious red berries in sacks in the markets or sold ground as a powder, varying in colour from deep red to maroon or purple. Sumac comes from a plant in the Rhus family, which includes many poisonous varieties, but the berries of Rhus coriaria are not harmful and add a delicious tangy lemon flavour to foods. Apparently sumac was used in Europe before the arrival of lemons in Roman times. It has also been used in place of lemons when they were out of season* but it has a deserved place in cooking in its own right. Having made the discovery, I brought some back from my visit toTurkey and also subsequently from Palestine but it is now readily available in the UK, not only in Turkish and Middle eastern shops but also in some larger supermarkets. Until recently, I was living in SE London where there are excellent Turkish grocery stores which I frequented in Lewisham and Bermondsey and now that Brighton and Hove is my adopted city I can shop at Tiba or Al Jazeera - a few doors away from each other in Portslade - for all my middle eastern or Turkish culinary needs. 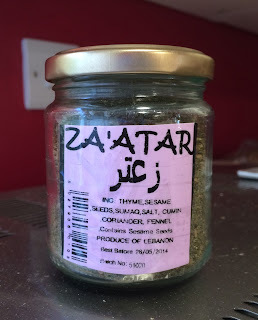 Sumac is used extensively in the Middle East and the Maghreb to season salads, yoghurt, chicken and lamb dishes but I use it most frequently in fish dishes as a dry rub for whole fish, prior to roasting or in a marinade to enhance the flavour. 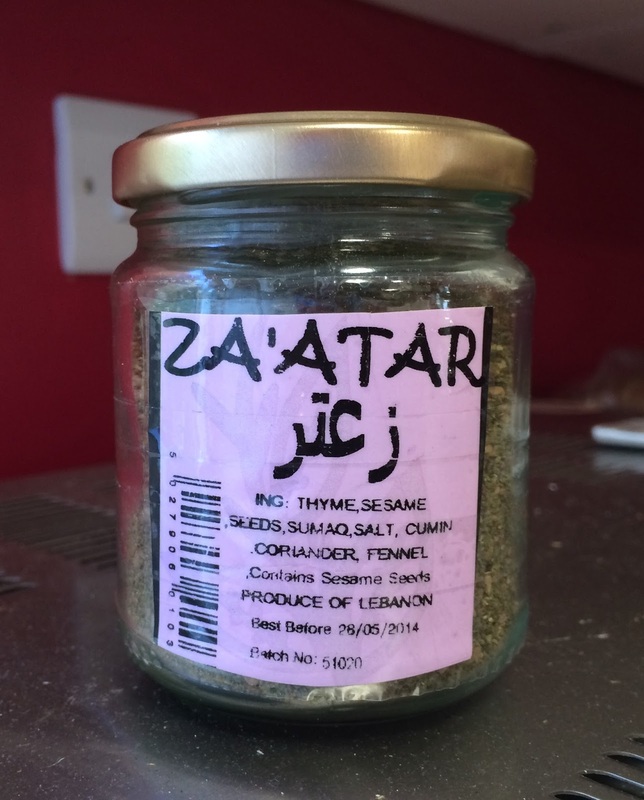 Sumac is also often used in Za'atar which is the topic of a separate blog. *Living in England we have almost lost all recognition of seasonal produce as everything seems to be available 12 months of the year. But before this globalisation, lemons were only available throughout the year (mainly in the Maghreb and the Middle East) as preserved lemons, an essential,ingredient of many dishes, such as Moroccan tagines, and this is the topic of another blog.